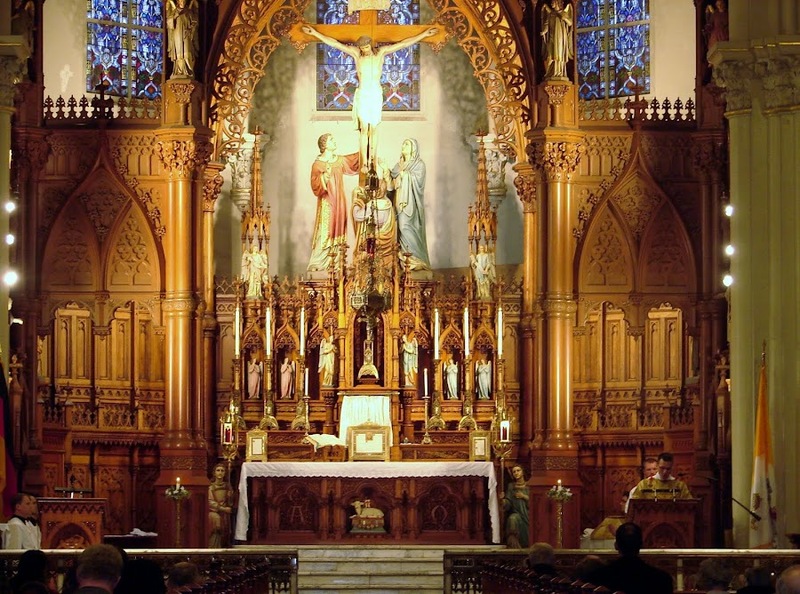 Immaculate Conception in Willoughby, Ohio, which has been offering the Traditional Latin Mass on Friday evenings, has announced on its website, under the leadership of the new pastor, that the Latin Mass on Fridays at 7:30pm is suspended, "effective immediately." For those who don't know or may have forgotten, New Year's Day is an holy day of obligation for Catholics. 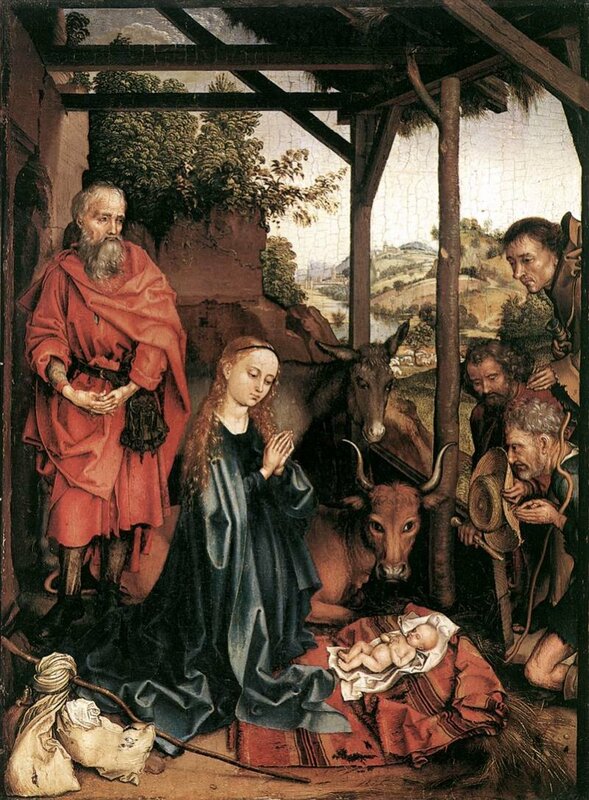 In the traditional calendar, it is the Feast of the Circumcision of Our Lord. The Traditional Mass schedule is below. Sacred Heart of Jesus parish in South Euclid will offer High Mass on Sunday, December 29, 2013 at 5pm, the Sunday within the Octave of Christmas. 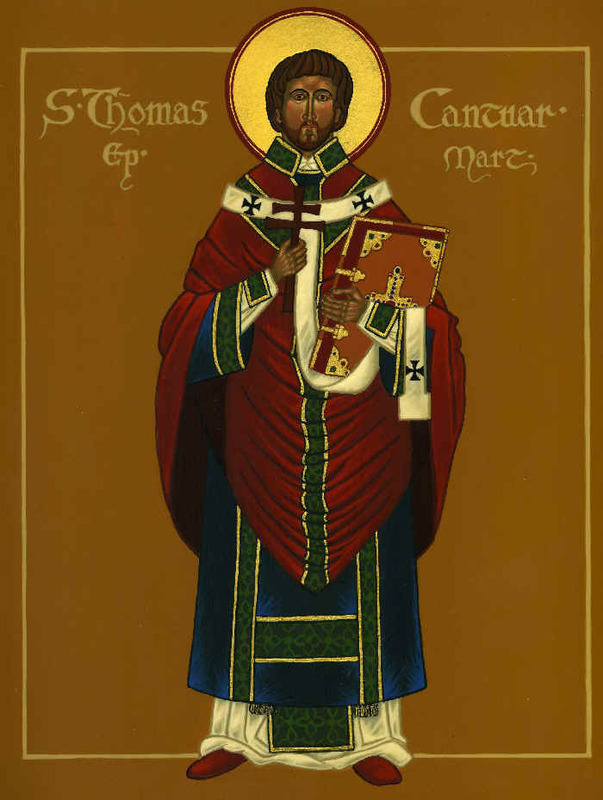 There will be a commemoration of St. Thomas Becket. St. Stephen Church will celebrate their patronal feast on Decemeber 26 at 6:30pm. The Mass will be Solemn High. St. Stephen was the first deacon and first martyr of the Church. St Fulgentius of Ruspe helps us to reflect on St. Paul's role, before and after his conversion, in the martyrdom of St. Stephen. ...Strengthened by the power of his love, [Stephen] overcame the raging cruelty of Saul and won his persecutor on earth as his companion in Heaven. 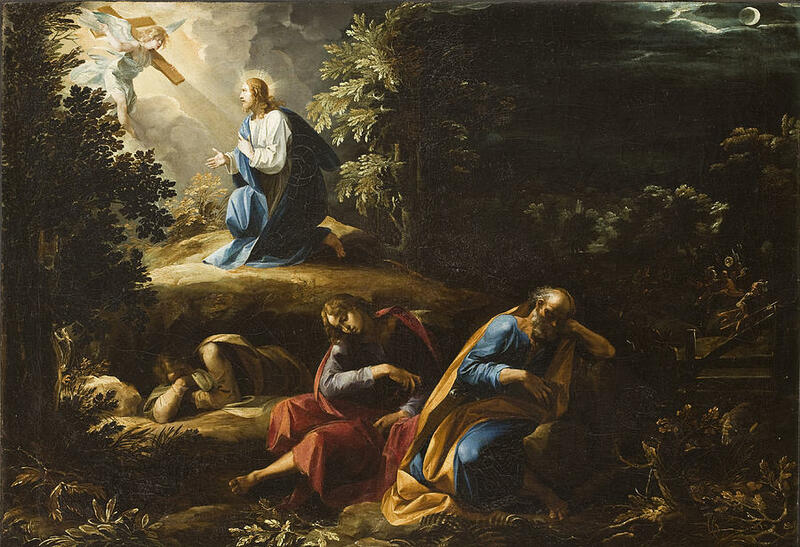 In his holy and tireless love he longed to gain by prayer those whom he could not convert by admonition. Now at last, Paul rejoices with Stephen, with Stephen he delights in the glory of Christ, with Stephen he exults, with Stephen he reigns. Stephen went first, slain by the stones thrown by Paul, but Paul followed after, helped by the prayer of Stephen. This, surely, is the true life, my brothers, a life in which Paul feels no shame because of Stephen's death, and Stephen delights in Paul's companionship, for love fills them both with joy. It was Stephen's love that prevailed over the cruelty of the mob, and it was Paul's love that covered the multitude of his sins; it was love that won for both of them the kingdom of Heaven. Through the cold wind’s wild lament and the bitter weather. You who now will bless the poor shall yourselves find blessing. This is a good carol to tell your children, and perhaps they will remember Good King Wenceslaus upon seeing footsteps in the snow. And as St. Stephen was the first deacon, his feast day is a good time to charitably give food, money and other useful items to service workers and the poor. The 12 noon Christmas Day Mass at Immaculate Conception will be Low Mass, not High. St. Sebastian in Akron will offer High Mass at 1pm on Christmas Day. 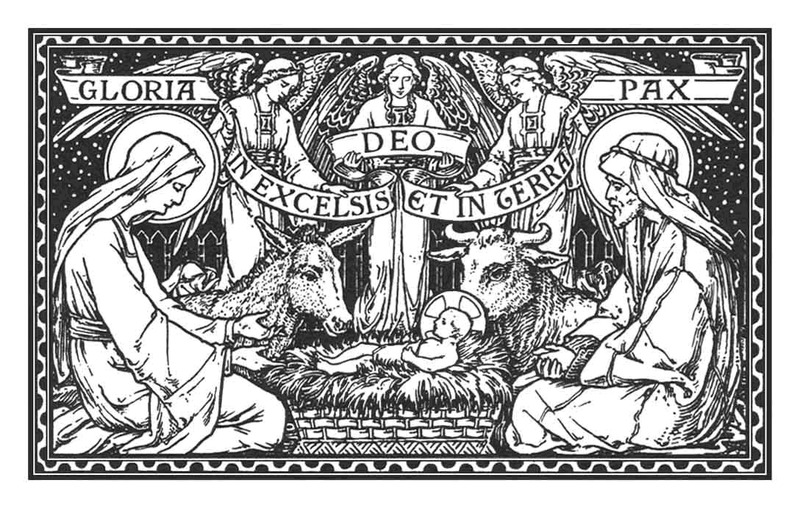 A blessed remainder of Advent to all. Here is the schedule of Christmas Masses. Please be away that a Rorate Mass will celebrated at St. Stephen at the normal Tuesday morning time of 7am, on December 17. As you may be aware, the Tuesday morning Mass at St. Stephen's is served by members of the St. John Berchman Society of St. Ignatius High School. The Rorate is a Mass in honor of Mary in which the interplay of light and darkness convey the meaning of Advent. Historically, it has been celebrated early on weekday mornings in darkness. As the Mass proceeds and sunrise approaches, the church becomes progressively brighter. Please see the flyer below for a very special event at Sacred Heart of Jesus in South Euclid, Oh. The modern world has erased the spirit of Advent. Faithful Catholics are bombarded with the spirit of commercialism. We no longer patiently await the coming of Our Lord Jesus Christ. Christmas time begins the day after Thanksgiving and ends the day after Christmas. It is time to embrace the Church's calendar, not the world's. These are the themes discussed in this powerful sermon on Audio Sancto. Click the link below to listen to the sermon (mp3 format). 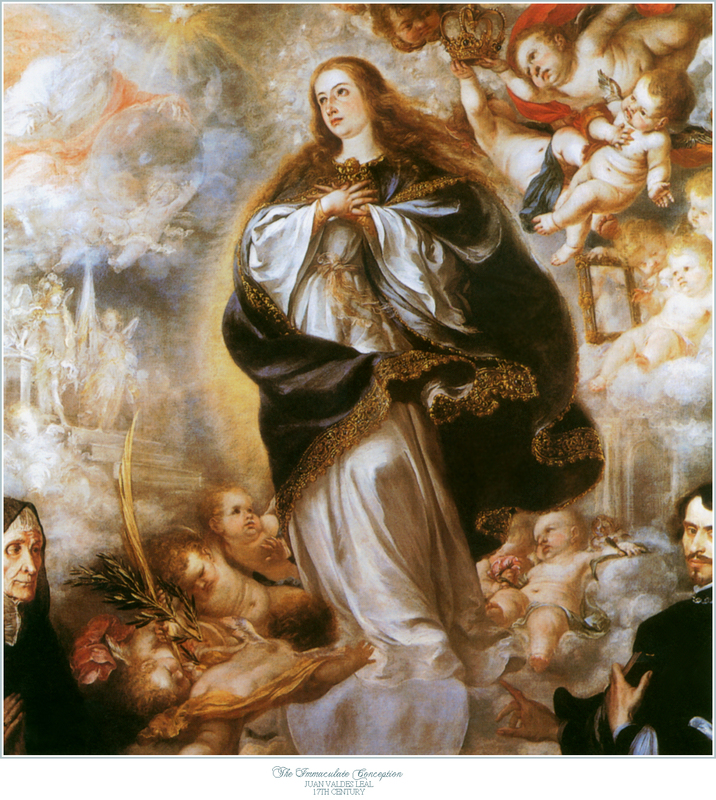 For the Feast of the Immaculate Conception, which happens to fall on a Sunday this year, Dec 8, 2013, Latin Masses will be at the normal time, but a special Solemn Mass for Immaculate Conception Cleveland's patronal feast will be held at the normal time of 12 noon. Following Mass will be a Eucharistic procession and benediction. Immaculate Conception Cleveland will offer Low Mass at 8am on Thanksgiving Day, Nov 28. This will arrive in subscriber inboxes a day late, but its worth reading and meditating upon. Dom Gueranger, in his wonderful work entitled The Liturgical Year, presents this powerful thought and prayer as a conclusion to the entry for this feast day. 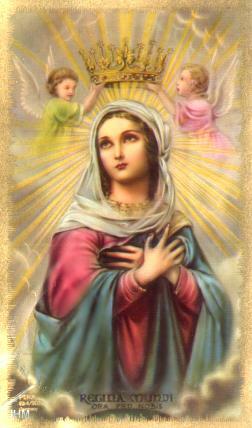 Holy Church.....declares that we can imitate thee, O Mary, in this mystery of thy Presentation, as in all others. 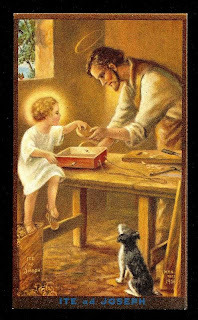 Deign to bless especially those privileged souls who, by the grace of their vocation, are even here below dwellers in the house of the Lord: may they be like that fruitful olive enriched by the Holy Spirit, to which St. John Damascene compares thee. But is not every Christian, by reason of his Baptism, an indweller and a member of the Church, God's true sanctuary, prefigured by that of Moriah? May we, through thy intercession, follow thee so closely in thy Presentation even here in the land of shadows, that we may deserve to be presented after thee to the Most High in the temple of His glory. Please see below for an exciting free event at St. Stephen. * A consecrated Communion Host becomes living flesh and blood. * A statue of Jesus weeping real tears and shedding real blood. * A stigmatist who bleeds from her hands, feet, and head. Come and be astounded at what they discover! Canon Matthew Talarico of the Institute of Christ the King Sovereign Priest will celebrate High Mass at Sacred Heart of Jesus Parish in South Euclid, Ohio, on Sunday, Nov 10. 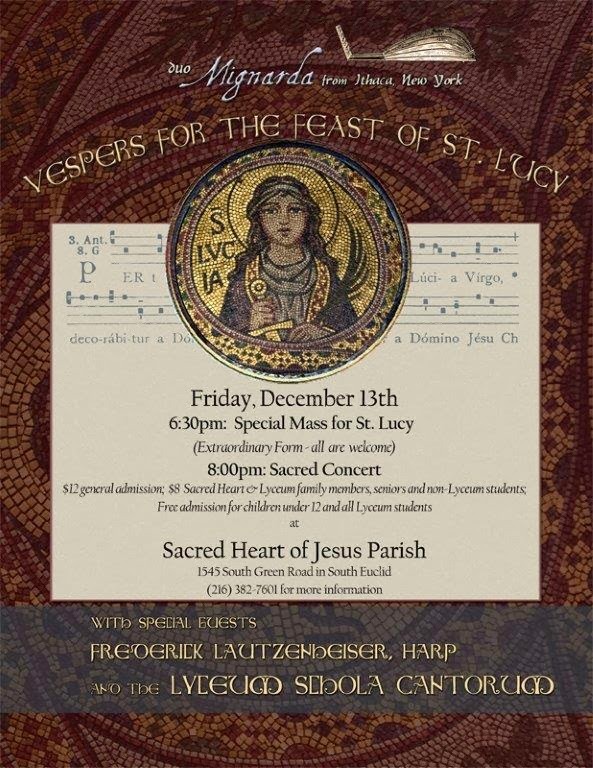 Music will be provided by the wonderful Lyceum school schola cantorum. Mass will be at 5pm. Thanks to those who emailed. We have some updates for All Saints and All Souls. For the Feast of All Saints, St. Sebastian in Akron will offer a Latin Mass at 5:15pm. 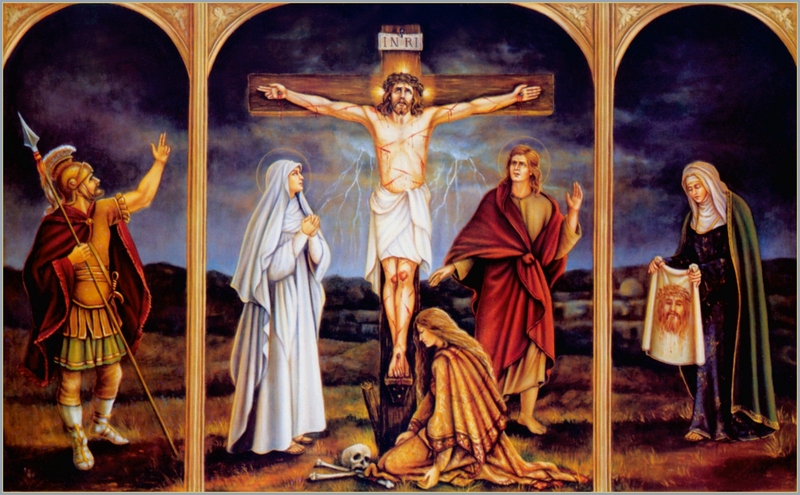 On All Souls Day, Sacred Heart of Jesus in South Euclid will offer a Requiem Mass at 8am. Requiem Masses for the Feast of All Souls is as follows. Just a quick notice about the Latin Masses available for All Saints Day, Friday, Nov 1, 2013. 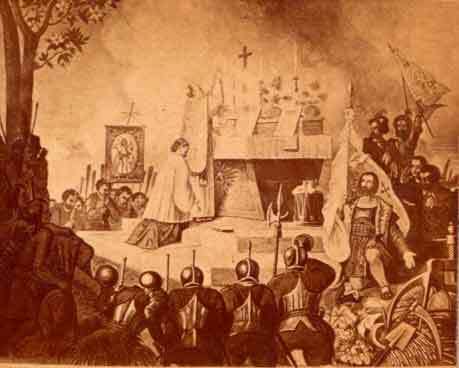 If anyone has information about other Latin Masses for days of obligation, or any special day, please notify Cleveland TLM Friends and it will be posted. St. Rocco Church in Cleveland is in need of Latin Mass servers for the Sunday evening Low Masses at 6pm. Anyone interested in serving can call St. Rocco's at 216-961-8331 and ask to speak with Fr. James Mayer. 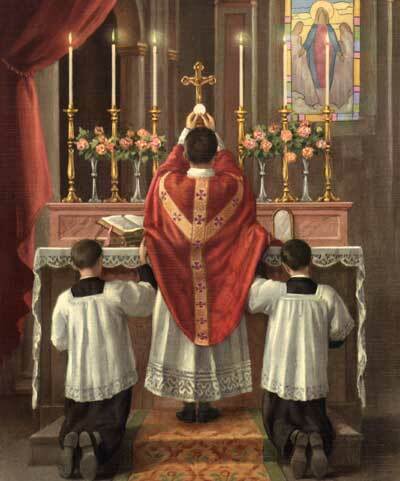 Experience in serving the Latin Mass is helpful, but not necessary. Training will be available. Contact Fr. James for the information. To serve at the altar, as to sing in the choir, is next to the priesthood the highest privilege which a human can enjoy. He represents the faithful and takes a most intimate part in the rich treasures of the church's liturgy and ceremonial. Those sacred ceremonies should be carried out with devotion, dignity and attention to detail. As some of you already know, Rev. S. Michael Franz, pastor of St. Stephen Church, will enter into retirement on September 1, 2013. Fr. Franz has been a terrific friend of the Traditional Latin Mass. On October 3rd, 2007, Fr. Franz celebrated the first TLM at his parish in over 40 years, and has continued to do so every Wednesday. Since Easter Sunday of 2008, Fr. Franz has welcomed High Mass and Fr. 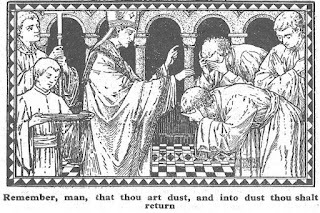 Bede to his parish every Sunday and on many Feast Days and Days of Obligation. 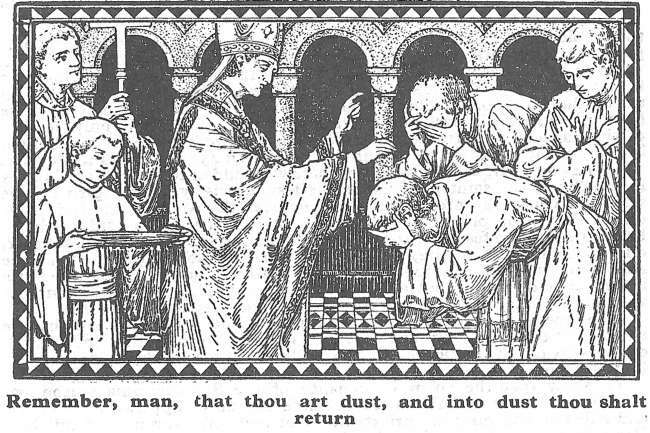 St. Stephen, again, at the sincere welcoming of Fr. Franz, now has 4 Traditional Latin Masses during the week, and on every First Friday and First Saturday. Clearly, Fr. Franz has been a true friend of the TLM, and someone for whom the TLM faithful in Cleveland can be very thankful. Wednesday, August 28, will be Fr. Franz's last celebration of the TLM as pastor of St. Stephen. Please consider assisting at this Mass, and thanking Father afterwards for his pastoral care to the TLM faithful. St. Sebastian in Akron, Ohio, will also a High Latin Mass on the Feast of the Assumption at 5:15pm. Immaculate Conception's evening Mass will now be Missa Cantata --High Mass-- not Solemn, as previously announced. REMINDER: Thursday, August 15, 2013, is an Holy Day of Obligation. Today the spotless Virgin, untouched by earthly affections, and all heavenly in her thoughts, was not dissolved in earth, but truly entering heaven, dwells in the heavenly tabernacles. Who would be wrong to call her heaven, unless indeed he truly said that she is greater than heaven in surpassing dignity? The Lord and Creator of heaven, the Architect of all things beneath the earth and above, of creation, visible and invisible, Who is not circumvented by place (if that which surrounds things is rightly termed place), created Himself, without human co-operation, an Infant in her. He made her a rich treasure-house of His all-pervading and alone uncircumscribed Godhead, subsisting entirely in her without passion, remaining entire in His universality and Himself uncircumscribed. 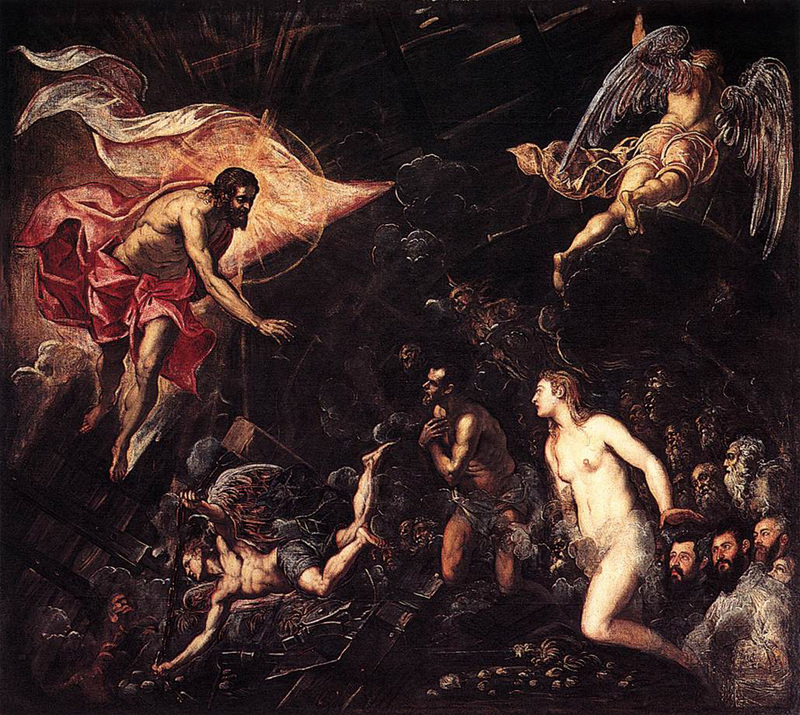 To-day the life-giving treasury and abyss of charity (I know not how to trust my lips to speak of it) is hidden in immortal death. She meets it without fear, who conceived death's destroyer, if indeed we may call her holy and vivifying departure by the name of death. For how could she, who brought life to all, be under the dominion of death ? But she obeys the law of her own Son, and inherits this chastisement as a daughter of the first Adam, since her Son, who is the life, did not refuse it. As the Mother of the living God, she goes through death to Him. For if God said: "Unless the first man put out his hand to take and taste of the tree of life, he shall live for ever," how shall she, who received the Life Himself, without beginning or end, or finite vicissitudes, not live for ever. 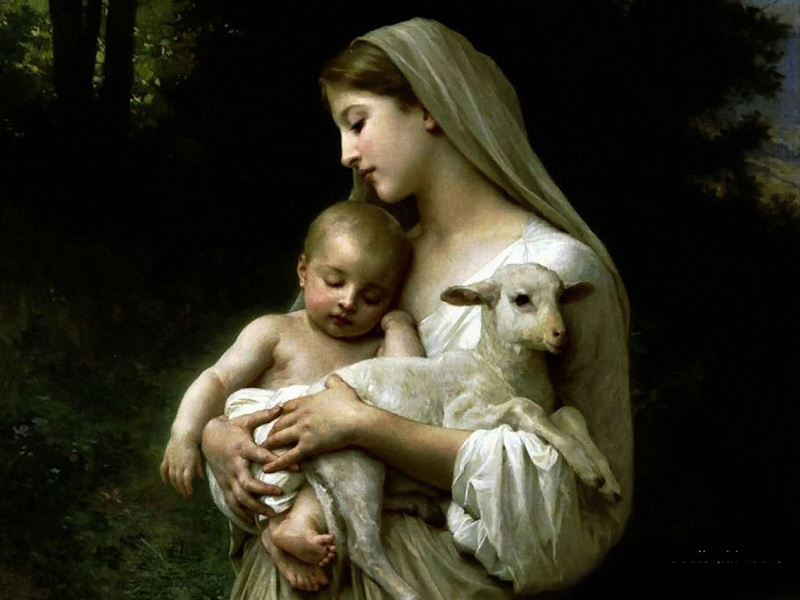 "We pronounce, declare and define it to be a divinely revealed dogma: that the Immaculate Mother of God, the ever Virgin Mary having completed the course of her earthly life, was assumed body and soul to heavenly glory." With these words, Pope Pius XII infallibly declared the Assumption of Mary, the Mother of God (theotokos), to be Catholic dogma in 1950. In this pronouncement, he was simply stating dogmatically what the Church, East and West, had believed for hundreds of years. We are blessed in the Diocese of Cleveland to have the opportunity to celebrate this glorious feast with the Traditional Latin Mass. Immaculate Conception will offer Low Mass in the morning, at 7am, and both St. Stephen and Immaculate Conception will celebrate Solemn High Mass in the evening at 6:30pm. A notice from Fr. Franz, pastor of St. Stephen's: The regular, evening Latin Low Mass on Wed, 8/14 is cancelled, and the regular Thursday evening Latin Low Mass on 8/22 is also canceled. Fr. Ireland, pastor of Sacred Heart of Jesus parish, asked us to spread the word about this movie event at his parish. Free Screening of the new Catholic Family Film, The War of the Vendee at Sacred Heart of Jesus in Knights Hall (below the Church) on Monday July 22 at 7:00pm! The War of the Vendee is the exciting, award-winning feature film from Navis Pictures, a Catholic Film production Company from Danbury, CT dedicated to creating films with Catholic Youth that inspire, educate, and entertain all ages. This timely, 90 minute, PG-rated film tells the little known story of the hundreds of thousands of brave, Catholic Martyrs of the French Revolution who gave their lives to restore the freedom of The Church. Featuring a glorious musical score recorded at Warner Bros. Studios in Hollywood, beautiful cinematography, and strong performances by a cast of 256 young Catholics, but without a single drop of blood or even a whiff of innuendo or vulgarity, this is a "war movie" that is safe viewing for the entire family! The film's award-winning director, Jim Morlino, (creator of the popular "Glory Stories" Audio CDs) will introduce the movie, and will host an informal Q&A session after the screening. There will also be discounted DVDs of the film for sale. This is a perfect Catholic Family event! You can visit the company's website at navispictures.com to watch the trailer, and learn more about the work of Navis Pictures. Sacred Heart of Jesus Parish in South Euclid will offer Solemn Mass on July 21st, 2013, at 5pm, in celebration of Fr. David Ireland's (pastor) 30th anniversary. In addition, Archbishop Timothy Broglio, head of the Archdiocese for the Military Services U.S.A., will preach. The correct Mass time is 5PM on Sunday, June 9. 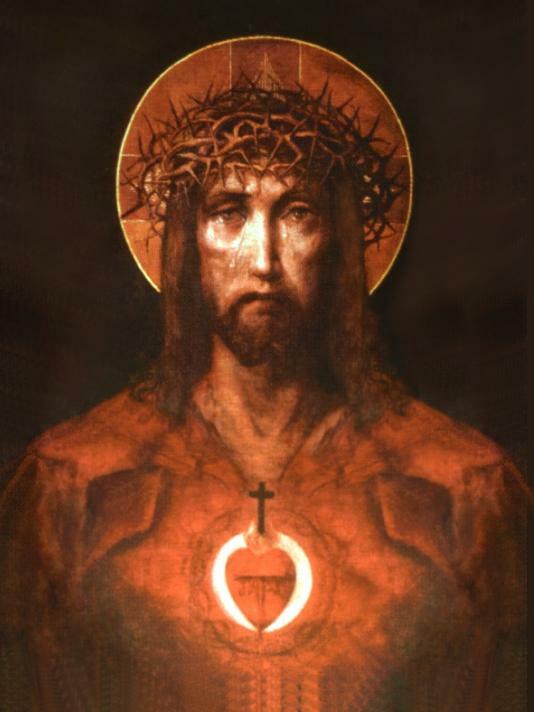 A blessed feast of the Sacred Heart of Jesus to you all. You can find information about Latin Masses for the Sacred Heart below. for we are carved out of His heart as from a rock." The following is from an inspiring entry in the Catholic Encyclopedia, courtesy of New Advent. It is in the eleventh and twelfth centuries that we find the first unmistakable indications of devotion to the Sacred Heart. Through the wound in the side the Heart was gradually reached, and the wound in the Heart symbolized the wound of love. It was in the fervent atmosphere of the Benedictine or Cistercian monasteries, in the world of Anselmian or Bernardine thought, that the devotion arose, although it is impossible to say positively what were its first texts or were its first votaries. To St. Gertrude, St. Mechtilde, and the author of the "Vitis mystica" it was already well known. We cannot state with certainty to whom we are indebted for the "Vitis mystica". Until recent times its authorship had generally been ascribed to St. Bernard and yet, by the late publishers of the beautiful and scholarly Quaracchi edition, it has been attributed, and not without plausible reasons, to St. Bonaventure ("S. Bonaventura opera omnia", 1898, VIII, LIII sq.). 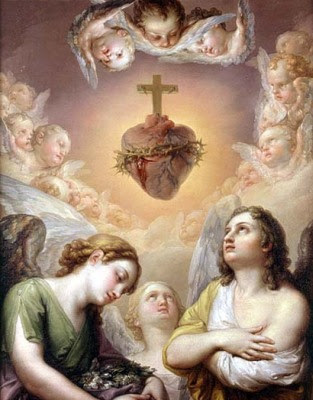 But, be this as it may, it contains one of the most beautiful passages that ever inspired the devotion to the Sacred Heart, one appropriated by the Church for the lessons of the second nocturn of the feast. To St. Mechtilde (d. 1298) and St. Gertrude (d. 1302) it was a familiar devotion which was translated into many beautiful prayers and exercises. What deserves special mention is the vision of St. Gertrude on the feast of St. John the Evangelist, as it forms an epoch in the history of the devotion. 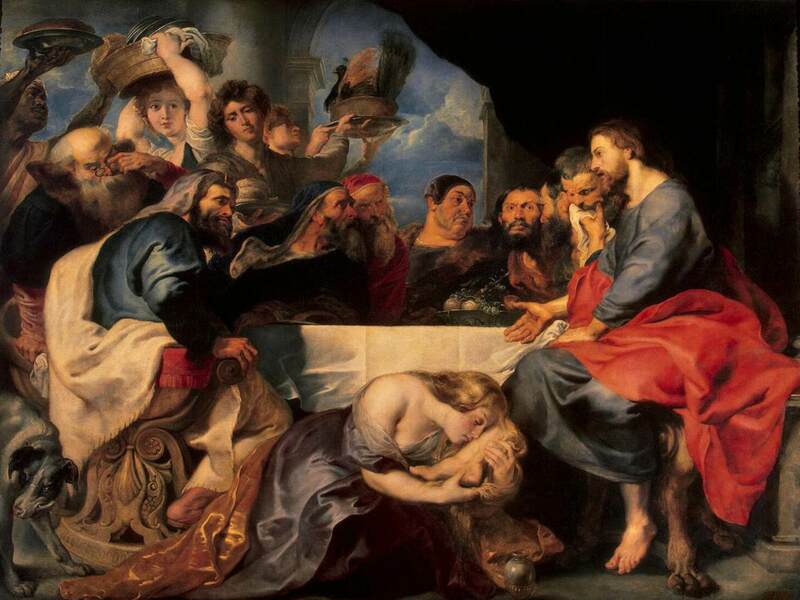 Allowed to rest her head near the wound in the Saviour's she heard the beating of the Divine Heart and asked John if, on the night of the Last Supper, he too had felt these delightful pulsations, why he had never spoken of the fact. John replied that this revelation had been reserved for subsequent ages when the world, having grown cold, would have need of it to rekindle its love ("Legatus divinae pietatis", IV, 305; "Revelationes Gertrudianae", ed. Poitiers and Paris, 1877). Because we are now come to the sweet Heart of Jesus, and because it is good for us to be here, let us not too soon turn away therefrom. O how good and joyful a thing it is to dwell in this Heart. 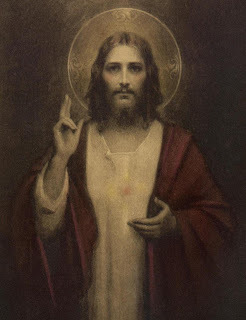 What a good treasure, what a precious pearl, is thy Heart, O most excellent Jesu, which we have found hidden in the pit which hath been dug in this field, namely, in thy body. Who would cast away such a pearl? Nay, rather, for this same I would give all my pearls. 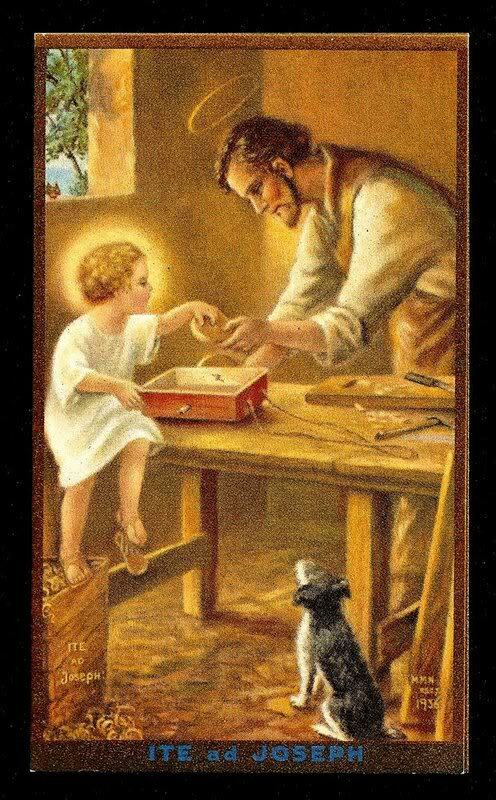 I will sell all my thoughts and affections, and buy the same for myself, turning all my thoughts to the Heart of the good Jesus, and without fail it will support me. Therefore, o most sweet Jesu, finding this Heart that is thine and mine, I will pray to thee, my God : admit my prayers into the shrine of hearkening : and draw me even more altogether into thy Heart. For to this end was thy side pierced, that an entry might be open unto us. To this end was thy Heart wounded, that in it we might be able to dwell secure from alarms from without. And it was wounded none the less on this account that, because of the visible wound, we may perceive the wound of love which is invisible. How could this fire of love better shine forth than for him to permit that not only his body, but that even his Heart, should be wounded with the spear? Who would not love that Heart so wounded? Who would not, in return, love one who is so loving? Who would not embrace one so chaste? Wherefore let us who are in the flesh love in return, as much as we can, him who so loveth, embrace our wounded one, whose hands and feet, side and Heart, have been pierced by wicked husbandmen ; and let us pray that he may deign to bind our hearts, still hard and impenitent, with the chain of his love, and wound them with the dart thereof. Let us dedicate the month of June to the Sacred Heart of Jesus. Is shrouded in that mystic guise. He makes our hearts His earthly throne. If we could die for love of Thee! And for His love make no return. 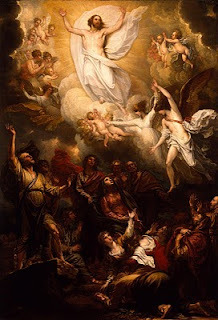 The previous post announcing the Corpus Christi Masses erroneously stated that Immaculate Conception Cleveland was observing this Solemnity on Sunday, June 2, in connection with the U.S. Bishops transferal of the feast from Thursday to Sunday. The correct way to understand this is that it was fully permissible in 1962, and even earlier, to celebrate the EXTERNAL Solemnity of Corpus Christi on Sunday. Information we have found says the indult goes back as far as Pope Leo XIII. We apologize for any unintended implications or misunderstandings. Traditionally, Corpus Christi is liturgically celebrated on the Thursday after Trinity Sunday. St. Stephen's will have a Latin High Mass for this feast day on Thursday, May 30, at 6:30pm. A Eucharistic Procession in the Church and benediction will follow the Mass. In the United States, however, the feast has been transfered to the Sunday after Trinity Sunday. Immaculate Conception Cleveland will observe this on Sunday, June 2, with a Procession and benediction at the 12pm High Mass. May 9 is Ascension Thursday, and St. Stephen and Immaculate Conception will both offer High Mass at 6:30pm. The Church breathes through two lungs, the East and the West. A Catholic exchange - two events . The Byzantine Catholic Community has been invited to come and experience the Traditional Latin Mass at St. Stephen Church on Thursday, May 9th at 6:30pm. Come see the ancient liturgy and hear the Gregorian chant of the Roman Catholics as we celebrate the Feast of the Ascension of Christ into Heaven. Fr. 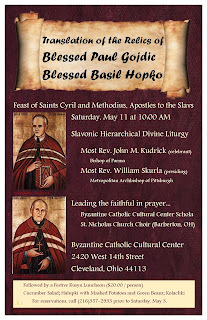 Richard J. Plishka, of the Byzantine Cultural Center, has invited the St. Stephen Roman Catholic Community to experience the Byzantine Liturgy and share in the celebration of the translation of the relics of two "beati" - two men declared "blessed" in the process of canonization. Bl. Paul Goidic and Bl. Basil Hopko. This will be an outstanding event led by the Bishop John Kudrick of the Eparchy of Parma and accompanied by a very skillful choir. Don't miss this learning experience. Please consider attending both events. Forward this on. Let us dedicate the month of May to Our Blessed Mother. 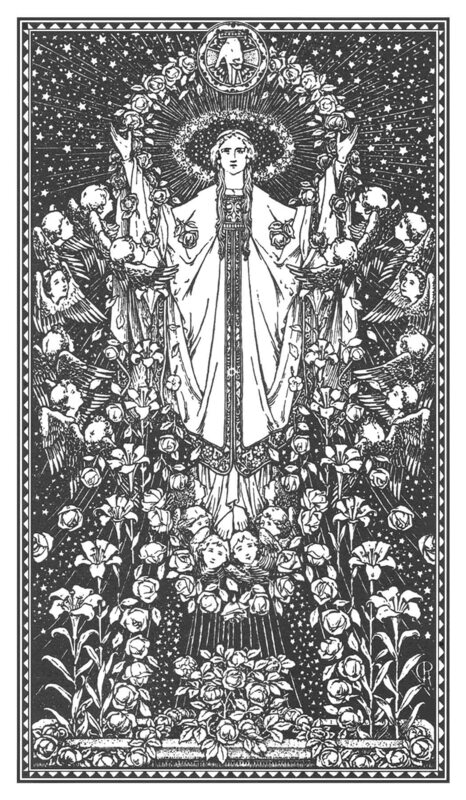 These three days before Ascension Thursday are traditionally known as Rogation Days. Incidentally, April 25 is also a Rogation day. Rogationtide is the time appointed by the Church to remember and reflect upon the wrath of Almighty God. These are days of particular prayer, and, formerly, of fasting. Christians would ask for God's protection in calamities, and also for a bountiful harvest. Some rural communities still piously observe Rogation Days. In times past, during Rogationtide there would have been processions with the chanting of the Litany of the Saints. This Sunday, April 14th, after the 9:30am Latin Mass at St. Stephen Church, Professor Myron Shibley will speak on the topic of John Paul II. The presentation will be in the club room, up the metal stair case in the building adjacent to the church. 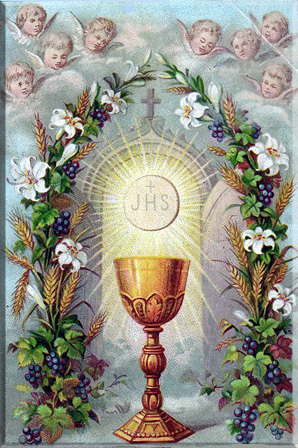 Let us dedicate the month of April to The Holy Eucharist. so my soul panteth after Thee, O God! when shall I come and appear before the face of God?" "For what have I in heaven? And besides Thee, what do I desire on earth?" Who takest away the sins of the world! Come, Thou beloved of my heart! Adorable Flesh and precious Blood of my Saviour! Come, to nourish, comfort, and enliven my sickly soul. O God of my heart! my treasure, my joy, my life, my all! Thou art, O Lord of hosts! My King and my God!" "Who will give me wings like a dove and I will fly and be at rest!" Exciting news for St. Stephen's and Catholics in and around the Diocese of Cleveland. 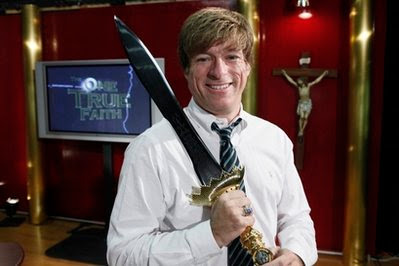 Michael Voris of Church Militant TV will be coming to St. Stephen's to give a FREE conference entitled Satan's Defeat. The conference is Saturday, March 2, at 7pm, in the church. A free will offering will be accepted. Then, on Sunday, March 3, Michael Voris and the crew will film an episode of the Vortex at the 9:30am Latin High Mass. The Latin Mass schedule for Ash Wednesday is as follows.